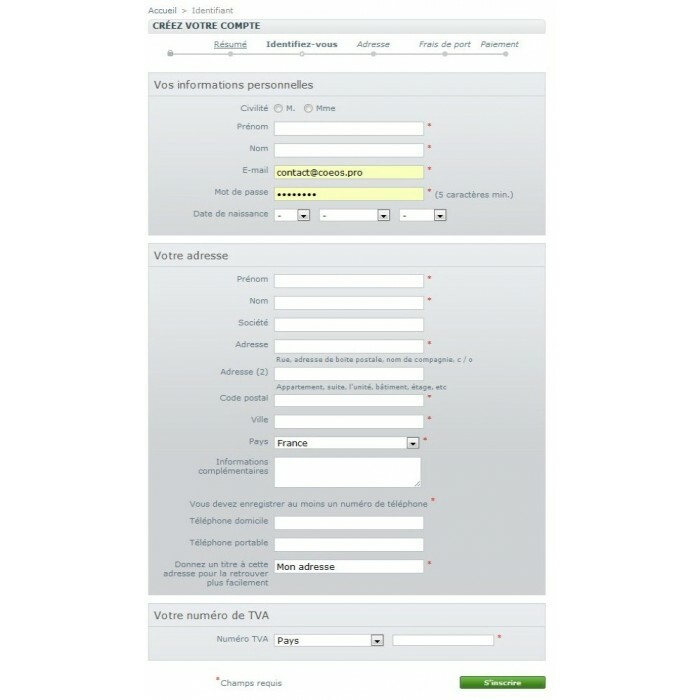 The VAT number is verified by VIES (http://ec.europa.eu/taxation_customs/vies/), and lets you change the client group by country and A virtually automatic or manual. 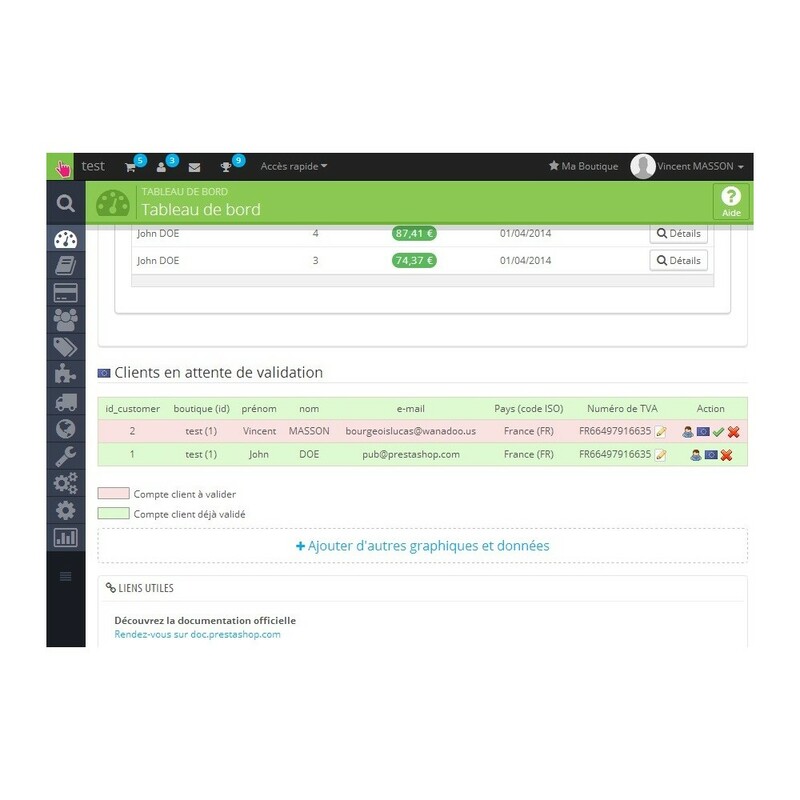 You can assign a group of client countries and mabnière fully automated. The client can be in a client group corresponding to his country if your trade policy differs in each fontion European countries. You can also, if desired, require Registered customers go to their VAT number (they will be stuck on the "My Account" to enter their VAT number). automatically or manually transfer the client to a group. 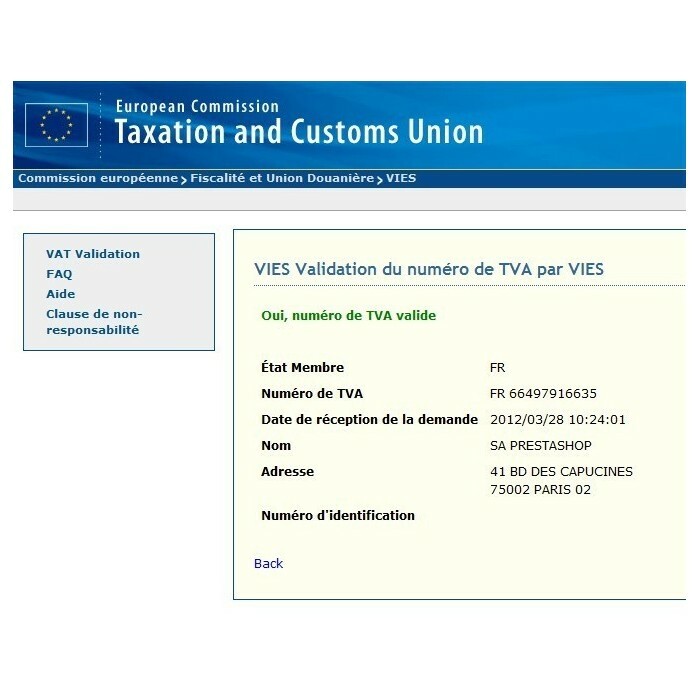 for each customer with a registered VAT number (automatic or manual transfer) you will have a direct link to the page of "VIES" on this company to verify the validity of the number and get information about the company. keep the other guests in the group "Default"
You have professional clients and individuals on your PrestaShop store? This module will allow you to sell and charge for with or without VAT according to group of customer from your customers. 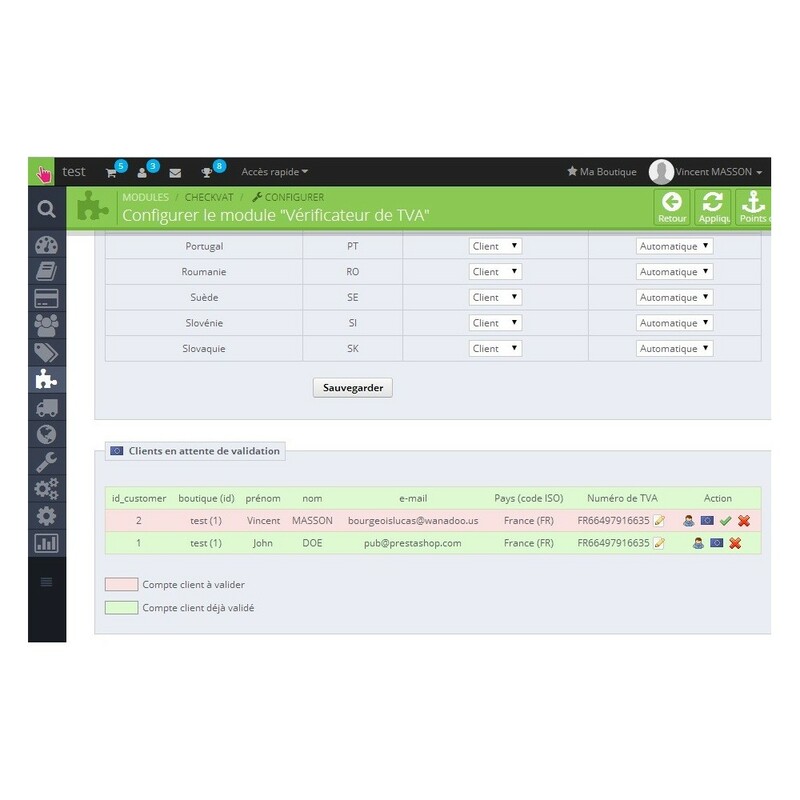 The group change can be done transparently for the client and a fully automated, so no waste of time for the customer, the more you can automatically transfer the client to a group characterized his country. 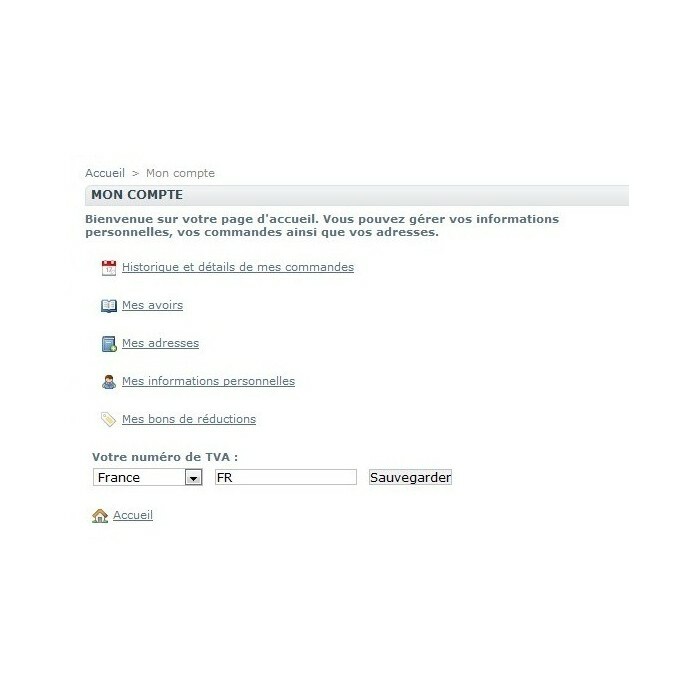 It is advisable to create groups of customers before installing the module.